As a fairly low time pilot with no tailwheel experience and no time in the mountains, I had three very distinct missions that I wanted Alan to help me accomplish. First I needed to become proficient in the tailwheel operations of the Sportsman. Flying with Alan and his beautiful airplane allowed me the experience to become comfortable with my own aircraft when the time came for me to fly on my own. Like any good teacher Alan dishes out the praise when warranted, and when needed is not afraid to give you a “good kick in the pants” to get you back on track when things are not heading in the right direction. Second, I wanted to fly my airplane back home to Michigan from Washington and that meant crossing the “dreaded” mountains. Getting some limited mountain flying time with Alan gave me the confidence and the respect that mountain flying demands and allowed me to complete my mission successfully. And last, when it came time to do the test flying on my airplane I needed some help with the hours needed to be flown. I contracted Alan to put (20) hours onto the plane while I was back in Michigan. Alan’s test flying allowed me to come back to Washington after the plane had been painted and within a couple of hours of test flights be ready for my flight back to Michigan. 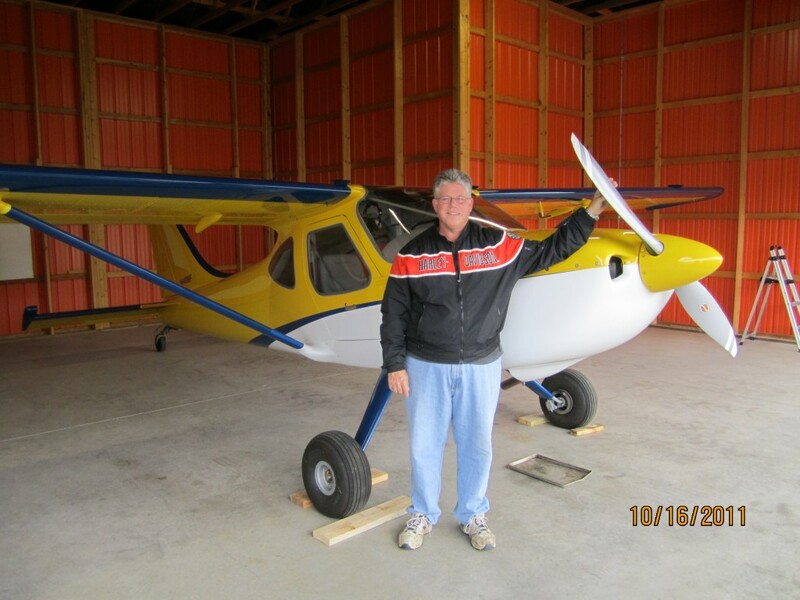 I would recommend Alan’s services for anyone who has made the commitment to build their own Sportsman and needs transition training to be comfortable and safe in their new airplane.